He will advise you at best! Many have already described it as "the most beautiful cycle path in the world", others as "the path of dreams". Certainly the panoramic view and the position overlooking Lake Garda make this bike path one of the obligatory stops for those who love walking or cycling, letting themselves be enchanted by the surrounding landscape. As you glide around the 'floating' cycle path you will enjoy waterside views that will make this (for now) short stretch of road unforgettable. Limone sul Garda is the starting point of the most scenic cycle path in the world! There are boats that allow you to reach it quickly. Most of these depart from Garda and allow you to transport your bike. Residence Ca 'del Lago offer you the opportunity to rent electric mountain bikes (e-mtb). This is certainly the most ecological way to get to Limone sul Garda. Those who are familiar with mountainbike have the opportunity to get to Malcesine through a path of trails called the Route of the Pilgrim. Following this itinerary you can admire beautiful views of the lake and picturesque villages where time seems to have stopped such as Crero and Campo. Going on you will come across another very charming village: Cassone. Here the attraction is the river Aril which with its 175 m is considered the shortest river in the world. The cycle path that runs along Lake Garda leads directly to Malcesine. There you can take advantage of the convenient ferry that allows you to bring your bikes and reach Limone sul Garda. On the way back from Malcesine to Torri del Benaco you can easily follow the main road. 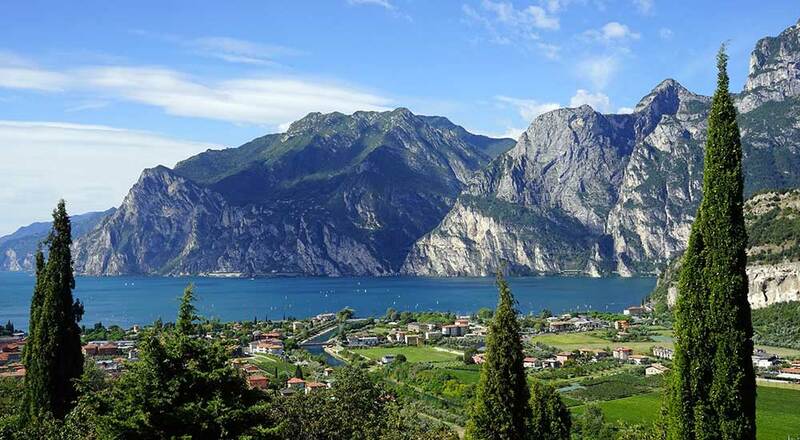 Discover the beautiful Lake Garda cycle path and the advantages of staying in Cà del Lago, an example? The Garda Green Card!